The Golden Lions cruised to a 31-73 Currie Cup victory over the Free State Cheetahs at the Free State Rugby Stadium in Bloemfontein on Saturday. 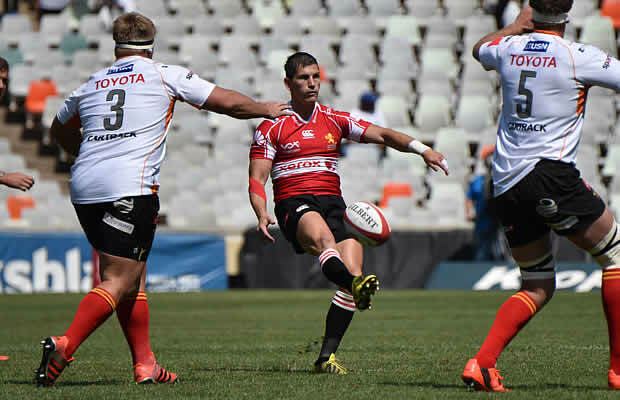 The Lions earned their eighth consecutive Currie Cup victory of the 2015 season and they remain unbeaten while the Cheetahs have played four and won four. In what was always going to be a display of excellent running rugby, and the Lions drew first blood through flyhalf Marnitz Boshoff who slotted a penalty in the fifth minute. Three minutes later Courtnal Skosan dived over for his first try of the afternoon – dotting down in the corner from – to ensure the Lions had a 10-point lead. The home side bounced back with a try by Sergeal Petersen, but Skosan would nullify that score with his second five-pointer of the match on the quarter-hour mark. Although the Cheetahs competed well at scrum-time, they could not match the impressive interplay between forwards and backs the Lions brought to the game. 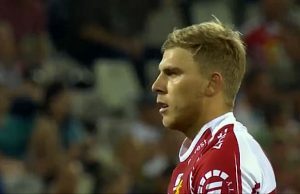 Flank Steph de Wit extended the Lions’ lead in the 18th minute when he held-on to a perfectly timed pass by skipper Warren Whiteley who, apart from being sin-binned in the first half, made an impressive start to his Currie Cup season. In what can be seen as one of very few positives the Cheetahs will take from the match, flank Vince Jobo scored on debut and was one of the team’s stand-out players of the match. 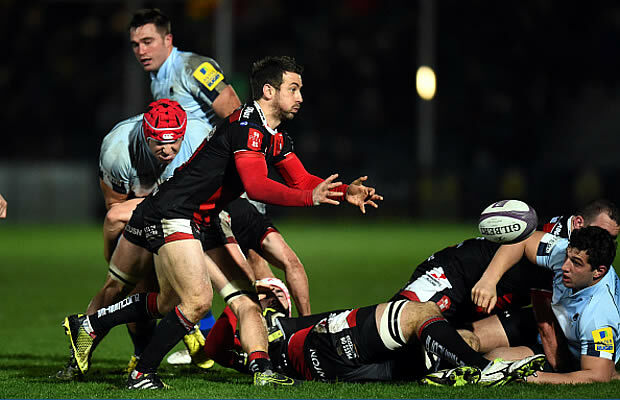 Jobo would make it a dream debut by scoring two more tries in the contest. At half-time, the Lions had already accumulated 31 points while the Cheetahs had to settle for 10-points which came from their two tries. 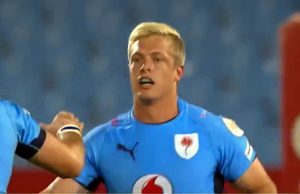 Boshoff’s boot was again on target and the pivot was named Man-of-the-Match for his kicking display which saw him slot each of his 11 attempts at goal. Howard Mnisi opened the proverbial floodgates at the start of the second half and although the Cheetahs did well to try and get back into the game (at one stage they had reduced Lions lead to 38-22), their work in defence became poorer as the match progressed. The Cheetahs also struggled to deal with the threat Kriel posed at the breakdown and were stunned as the big forward scored his second try of the match in the 64th minute. 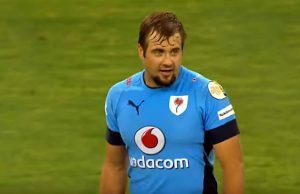 Jaco van der Walt, Kwagga Smith and Anthonie Volmink joined the try-fest in the closing quarter of the match to hand the Cheetahs their worst defeat of the season. Tries: Sergeal Petersen, Vince Jobo (3), Francois Venter. Tries: Jaco van der Walt, Albertus Smith, Anthonie Volmink, Courtnall Skosan (2), Steph de Wit, Jaco Kriel (2), Howard Mnisi, Warren Whiteley. Free State Cheetahs: 15 Clayton Blommetjies, 14 Sergeal Petersen, 13 Francois Venter, 12 Tertius Kruger, 11 Raymond Rhule, 10 Sias Ebersohn, 9 Zee Mkhabela, 8 Gerhard Olivier, 7 Niell Jordaan, 6 Vincent Jobo, 5 Reniel Hugo, 4 Freddy Ngoza, 3 Luan de Bruin, 2 Jacques du Toit, 1 Teunis Nieuwoudt. Replacements: 16 Neil Rautenbach, 17 BG Uys, 18 Willem Serfontein, 19 De Wet Kruger, 20 Rayno Benjamin, 21 Shaun Venter, 22 Fred Zeilinga. Golden Lions: 15 Andries Coetzee, 14 Ruan Combrinck, 13 Nicolaas Hanekom, 12 Howard Mnisi, 11 Courtnal Skosan, 10 Marnitz Boshoff, 9 Ross Cronje, 8 Warren Whiteley, 7 Steph de Wit, 6 Jaco Kriel (c), 5 Franco Mostert, 4 Lourens Erasmus, 3 Julian Redelinghuys, 2 Malcolm Marx, 1 Jacques van Rooyen. Replacements: 16 Mark Pretorius, 17 Ruan Dreyer, 18 Fabian Booysen, 19 Albertus Smith, 20 Jako van der Walt, 21 Rohan Janse van Rensburg, 22 Anthony Volmink.